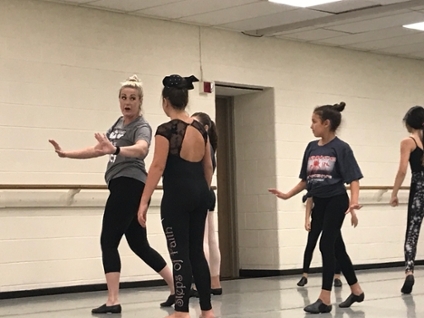 The Lamar University Summer Dance Intensive (LUSDI) is a chance for local and surrounding area dance students to experience the life of a collegiate dancer. 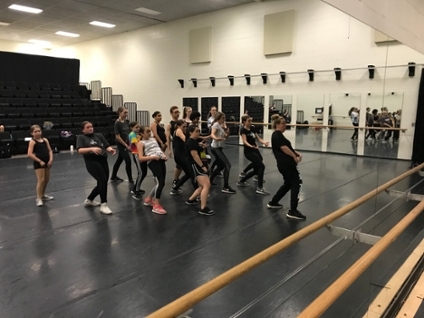 Students will make professional connections and lasting friendships in this two-week intensive, while growing as a dance artist. 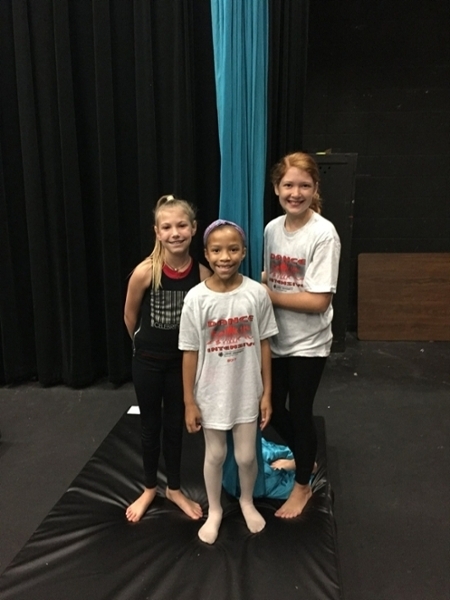 Students study ballet, modern, jazz, aerial silks, hip-hop dance and contemporary dance among a multi-faceted curriculum taught by Lamar Dance University faculty, as well as dance professionals from the surrounding areas. 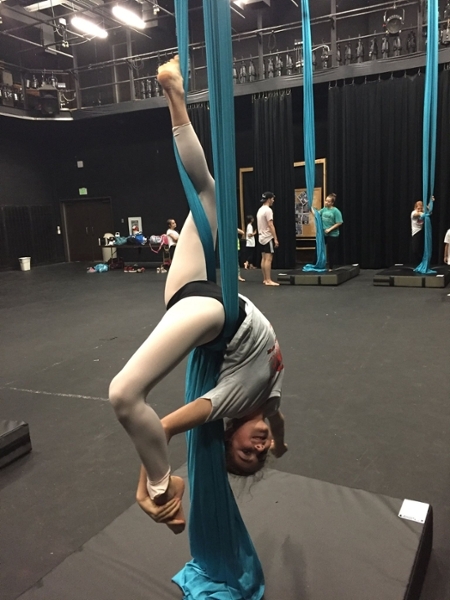 The LUSDI, hosted by the Department of Theatre & Dance, will conclude with a fully produced dance concert, including material learned in the two-week span. 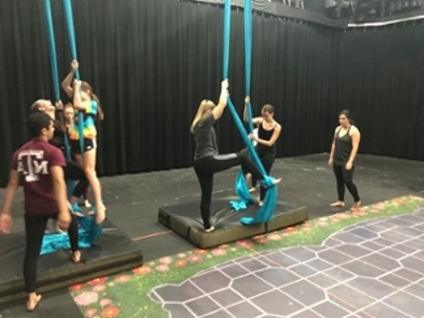 Students will experience a professional level rehearsal process including tech and dress rehearsal, preparing them for a professional level concert in the Lamar University Theatre. This year we are offering over night stay on the Lamar University campus, for a chance to immerse your student in the full college experience. Rooms are limited so act fast! Rooms are available July 8-12 and 15-19. There is no weekend stay in the dorms. LUSDI will be held in Lamar University’s Health and Human Performance Complex A & B (HHPA 208 and HHPB Dance Annex 100) dance studios and the Lamar University Theatre. 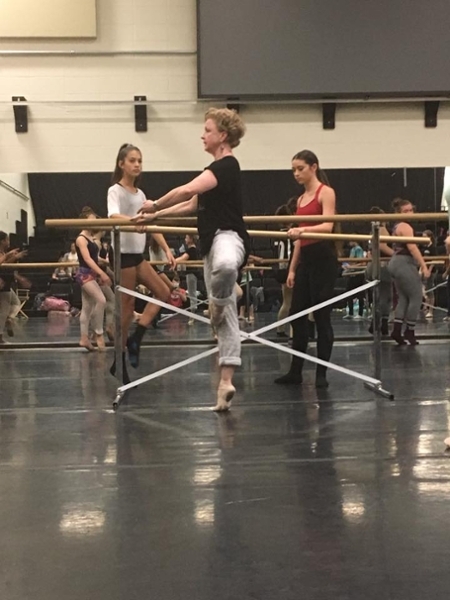 Our studios are fully equipped with water fountains, ballet barres, mirrors and state-of-the-art sprung-wooden floors covered in dance flooring. LUSDI students will be under the supervision of our department dance majors. These helpers have gone trough extensive training and will be escorting your students to and from class, lunch, between buildings, drop-off and pick-up. Students will also have the chance to take class with Lamar University dance majors and dance team members to gain the full collegiate experience. LUSDI offers a two-week program. Students may choose to participate the full two weeks or have their choice of week one or two. *LUSDI urges students to participate in the full two weeks to gain the most out of the experience. Students who are only registered for week one are allowed to register for week two, if they wish to do so, at the conclusion of week one. To maintain organization, we ask that if for any reason a student is not able to attend due to a family emergency, illness, etc. that a LUSDI staff member is notified. 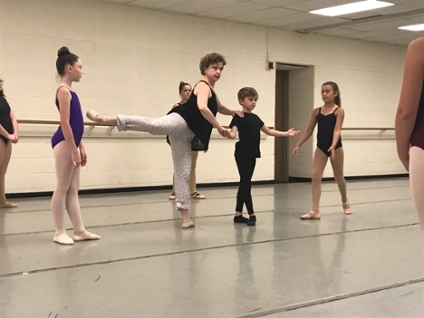 We have two Summer Dance Intensive sessions based on age. The junior intensive is for students who have completed 3rd - 7th grade. The senior intensive is for those who have completed 8th grade+ and adult students. Placement is determined by student’s comfort and ability level. We are committed to providing your student with the best experience possible. We want to push your student to strive for excellence, while still maintaining a safe environment to create and perfect their dance craft. 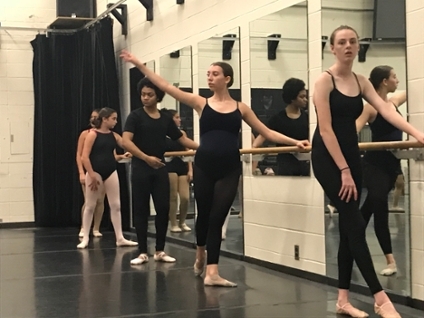 Check-in/late registration will take place, Monday, July 8, 2019 in HHPB Dance Annex 102 at 7:15 a.m. Parents will be allowed to watch the first 15 minutes of class to assure the student is acclimating well. No parents will be allowed to watch class after that point. No video or photography will be allowed inside of class without consent from the instructor. Each day, all students will be provided with healthy on-campus lunch options. All students, including students with dietary restrictions, may also bring a sack lunch to eat in the Dance Annex. Lunch is $8.00 (cash) to eat in the LU Dining Hall, accompanied by a LUSDI assistant. Students are urged to bring a water bottle with them to classes to stay hydrated and focused throughout the day. *Cost is for camp only. Pricing for campus housing coming soon.